It’s happened again. According to the National Insurance Crime Bureau’s annual ‘Hot Wheels’ report, the 1997 Accord was the most stolen car in 2016, making a 90s Honda the most stolen vehicle in America four years in a row. What is it about these simple sedans that make them irresistible to less savory types? It’s their very popularity that makes the Accord a target. Honda Accords are one of the best-selling vehicles of all time. The model climbed to the top of the charts in 1989 and never really fell. And these cars tend to last. That, of course, means there is a booming market for spare parts for the long-lived vehicles. Older cars are also generally easier to steal than newer cars, which come with a bevy of digital tools to keep cars in their owners hands. 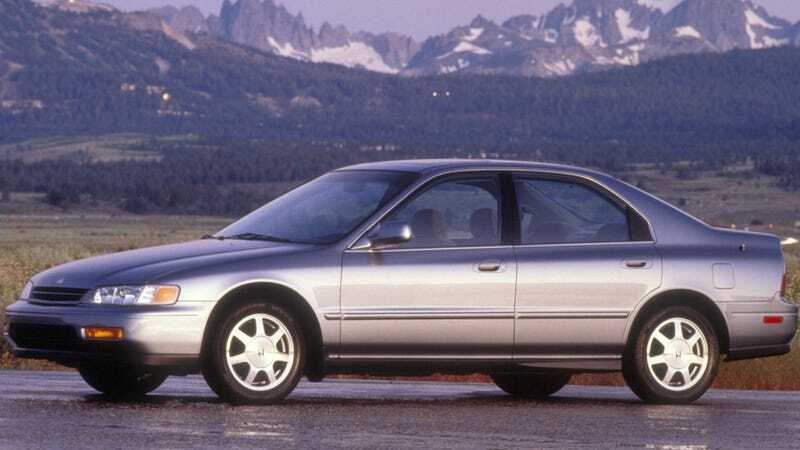 The ‘97 Accord was followed closely by the ‘98 Civic, another incredibly popular car in the North American market. American pickups from Ford and Chevrolet took the next two spots and rounding out the top five was the 2016 Toyota Camry. Surprisingly, the Corolla, the best-selling car of all time, only shows up on the list at the 8th position. So lock your Hondas up tight, people. You never know where they’ll end up. Hasn't Every 1997 Accord Been Stolen At Least Once By Now?